On the East Coast, shad roe is a celebrated springtime delicacy. In the Pacific Northwest, a similar side dish or an amuse bouche can be made from the immature eggs of ocean-caught salmon. 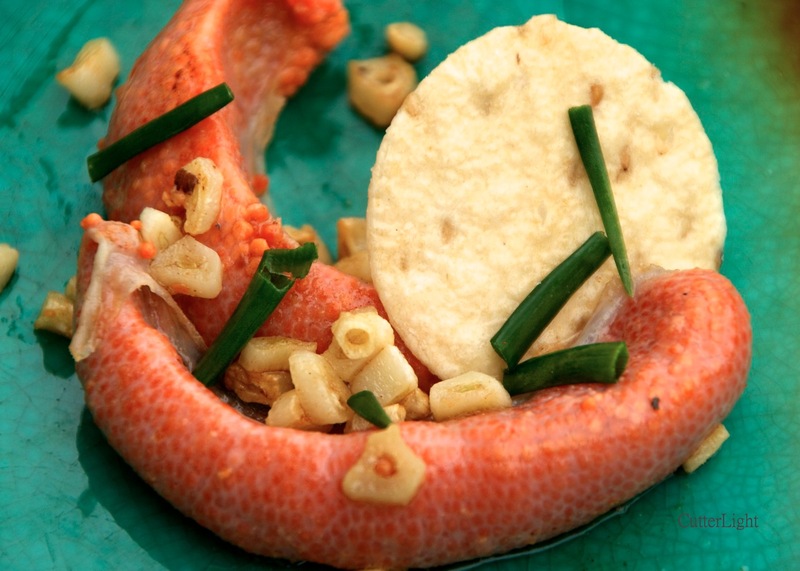 Fresh roe from ocean-caught salmon has a creamy texture and taste with an essence as fresh as the sea. At this stage the small, unripe eggs are firmly held together inside two separate egg sacs and lend themselves to being sautéed over low heat. Once the egg sacs have been removed from the salmon and cleaned, preparation is easy. We like to keep it simple so that the delicate flavor of the eggs comes through: a little olive oil or butter, garlic clove sliced fine and a dash or two of salt is all you need. Keep the heat low so that the eggs don’t pop and cook the eggs through till they become opaque. Add a dash of sherry or white wine if desired. A glass of Champagne, a sparkling wine from California, or an Italian Prosecco along with an amuse bouche featuring sautéed roe make an elegant start to to a special dinner. Larger roe sacs can be presented as an entrée similar to the manner in which shad roe is often served. So tasty. Thanks for the great idea!